Indications emerged last night why South-East governors voted on the platform of the Peoples Democratic Party (PDP) are foot-dragging to support the presidential candidate of the PDP, Atiku Abubakar. 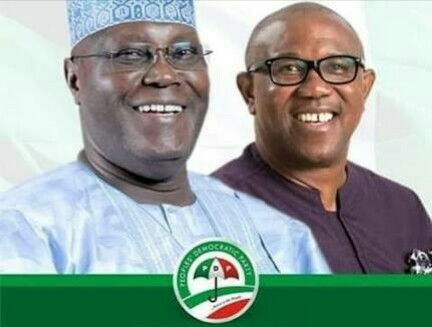 A source close to the governors told Daily Independent that since Atiku settled for Peter Obi, a former governor of Anambra State, as his running mate, the governors have been giving his ambition cold shoulders. The source attributed their attitude to their personal ambition, noting that they are angling to contest for the presidency in 2023 when their tenures as governors will end. He said originally they were pandering to President Muhammadu Buhari following their fear of sacked Lawal Daura, former director general of the Department of State Services (DSS), noting that they have now overcome that fear with Daura out of the equation. “Their concern now is all about 2023 when their tenures will end. And since the South-East is likely to produce the presidency they are all angling to position themselves. But Atiku picking Obi as his running mate puts Obi in a vantage position to contest for the presidency in 2023. That is actually their problem with Atiku," he said. He said the issue of not consulting them before picking Obi as running mate is just a cover-up to their personal ambition of the presidency in 2023. The source noted that the South-East governors may align with the All Progressives Congress (APC) that has also promised the zone the ticket in 2023. He said that the president’s men and their colleague governors have been wooing them and any time the president travels out of the country he picks one of them to be among his entourage, noting that there’s a reason to this. Meanwhile, Rivers State governor, Nyesom Wike, said he did not resign his position as the South-South coordinator of the Atiku campaign team. According to the governor, “I am the one to lead PDP campaign in South-South, my purported resignation rumour from PDP campaign team was orchestrated by those that are panicking already”.